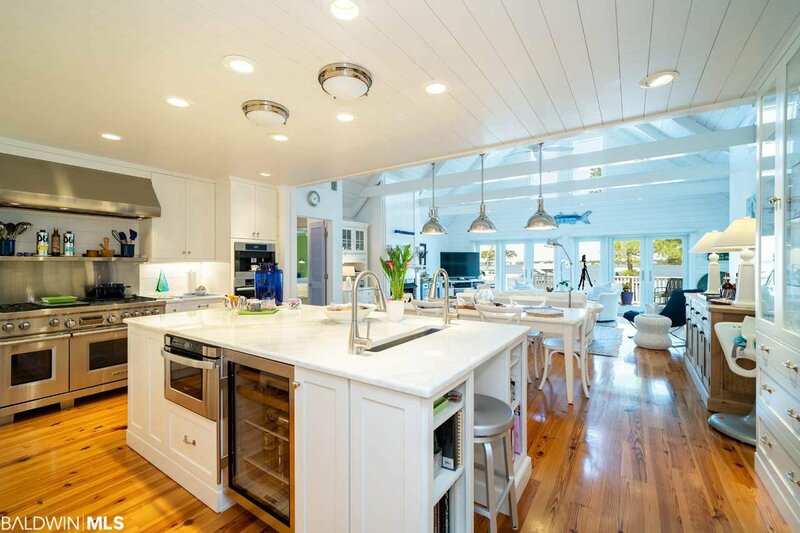 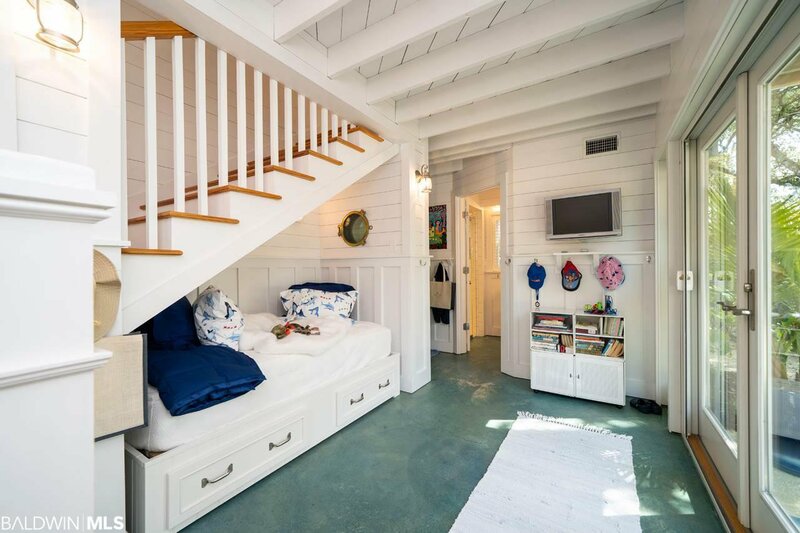 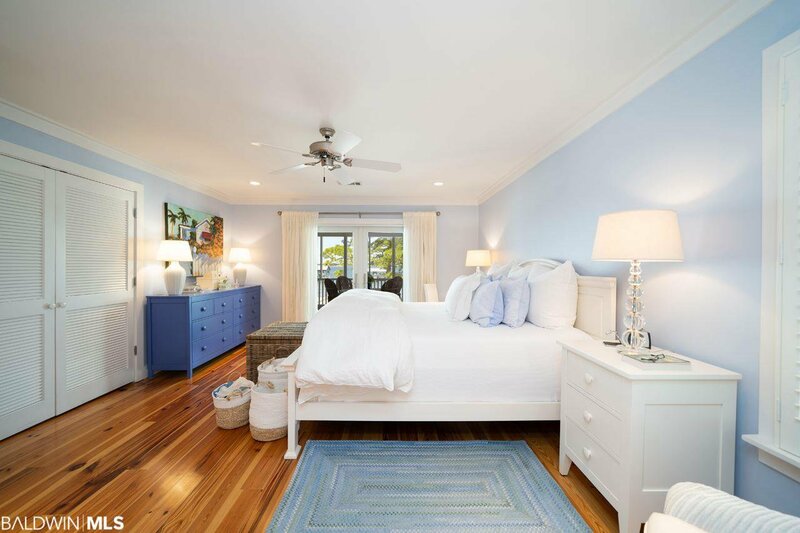 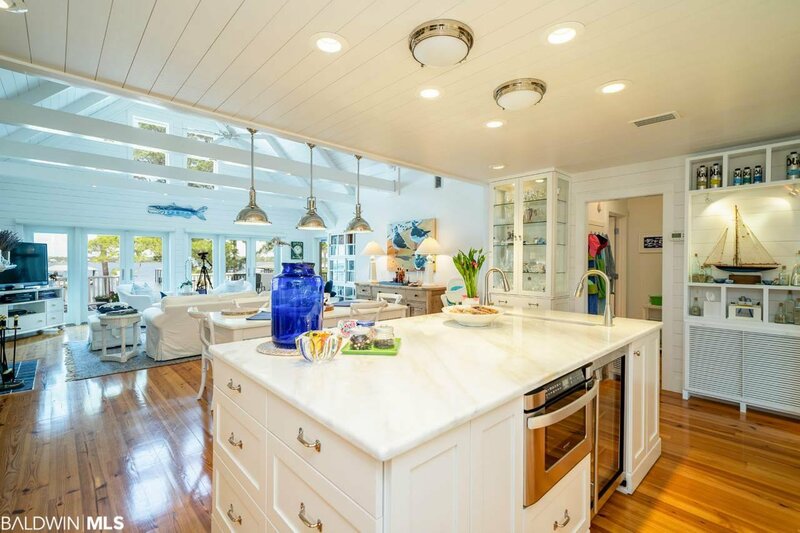 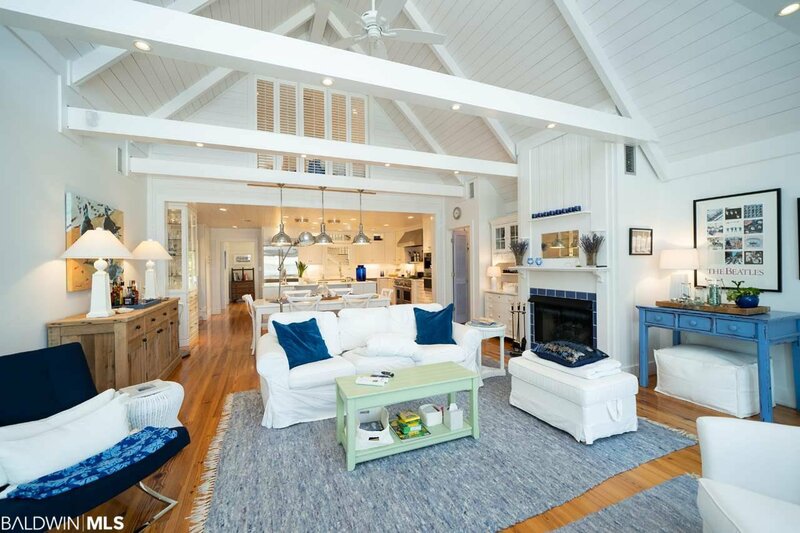 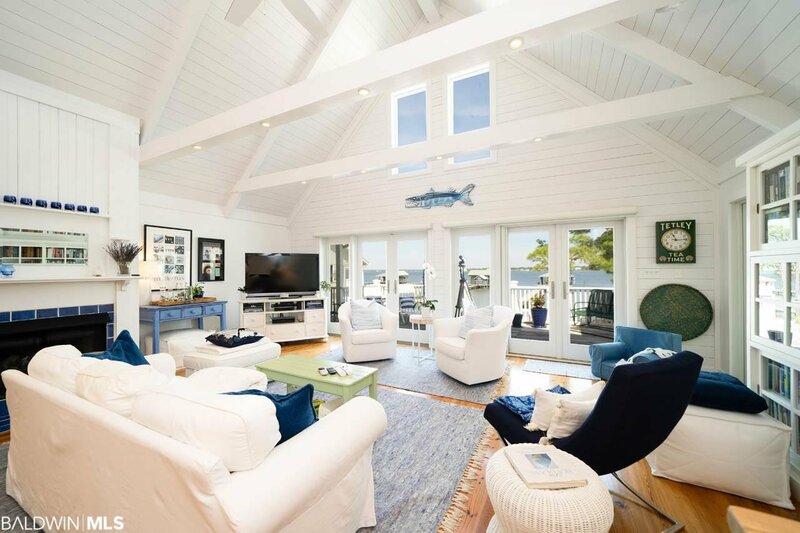 Perfectly situated on the North side of Ono Island with expansive bay views, this stunning big water home has been completely and tastefully remodeled and updated. 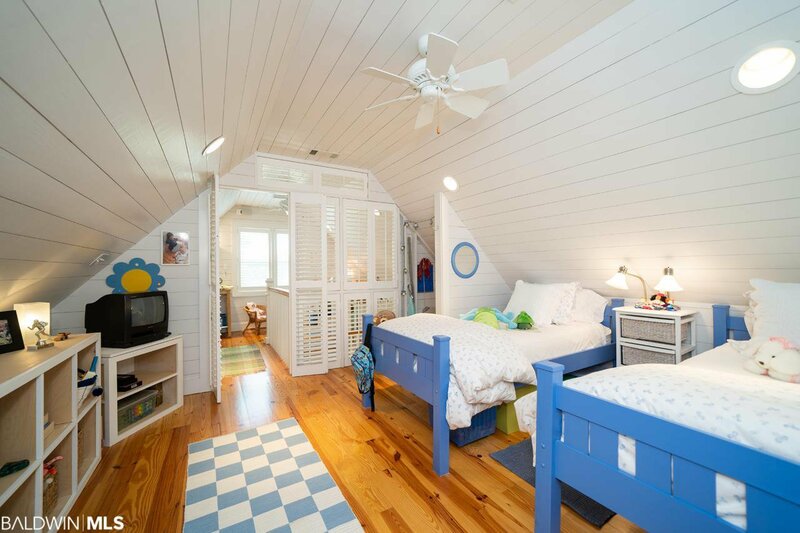 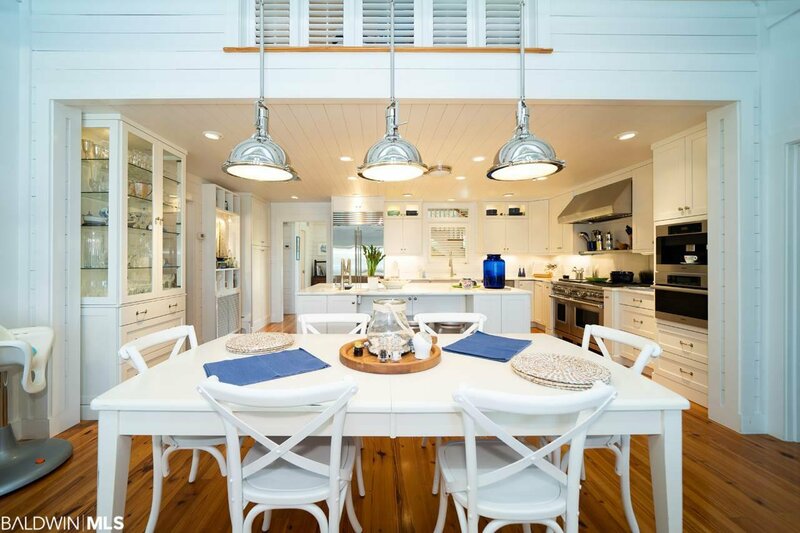 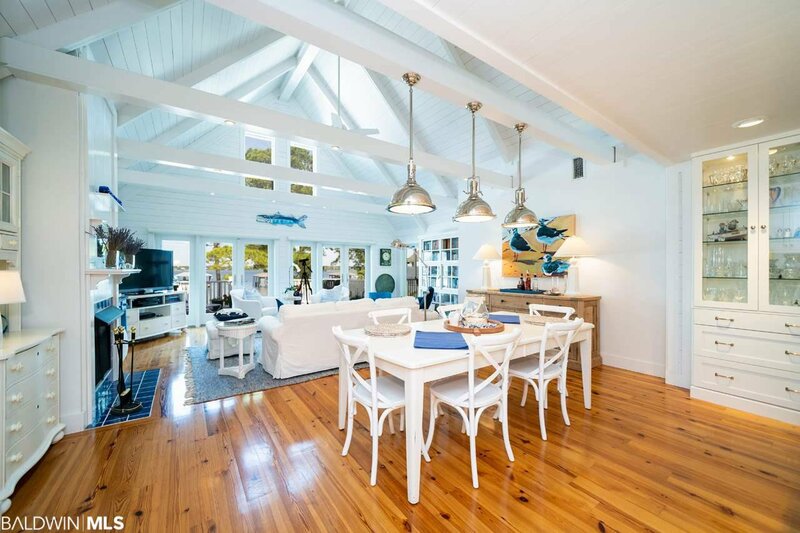 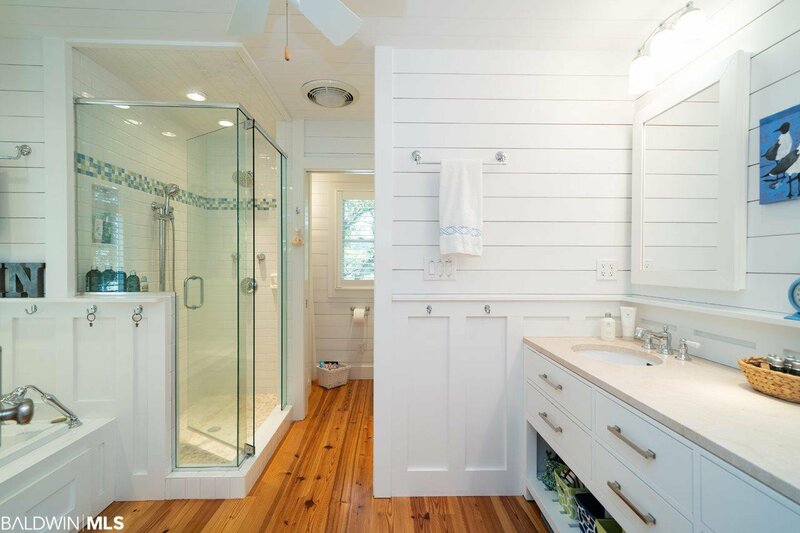 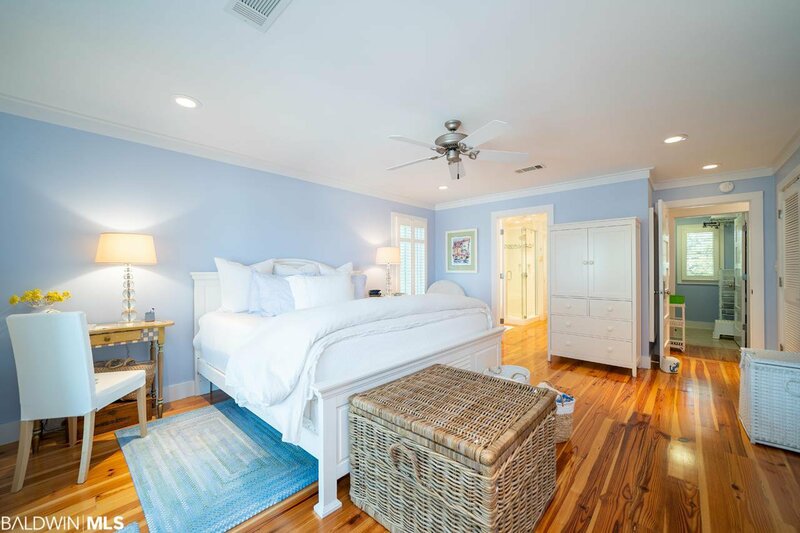 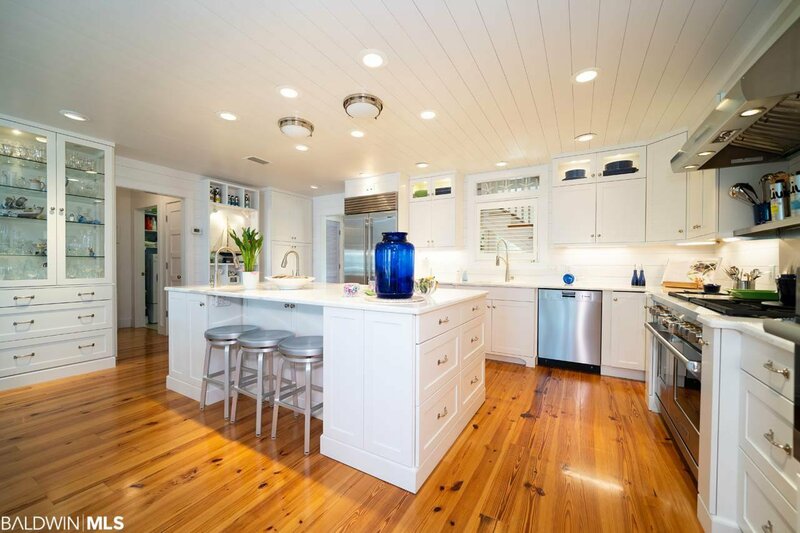 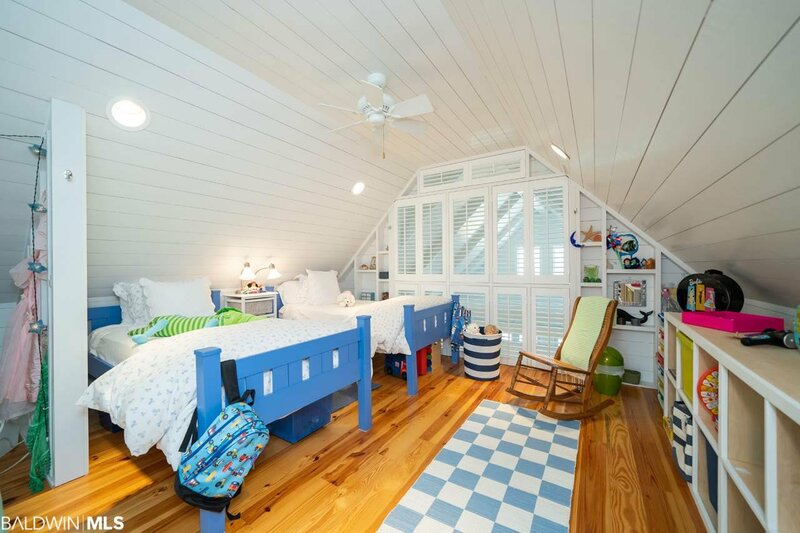 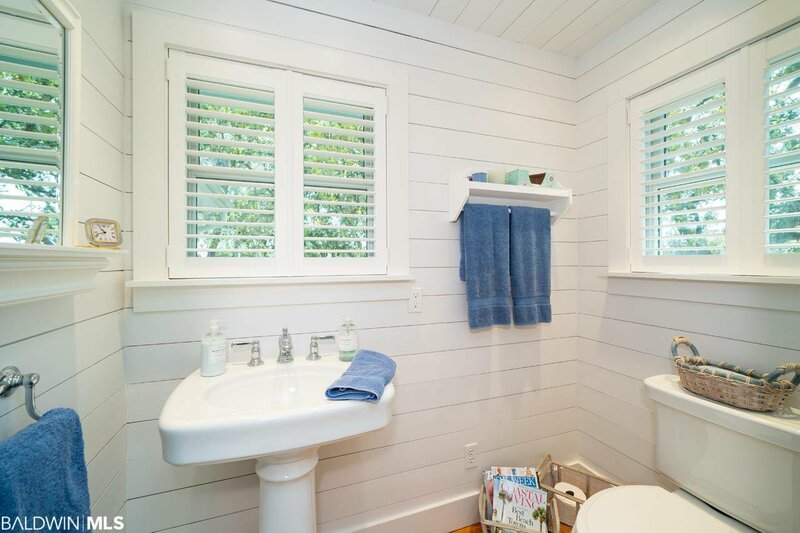 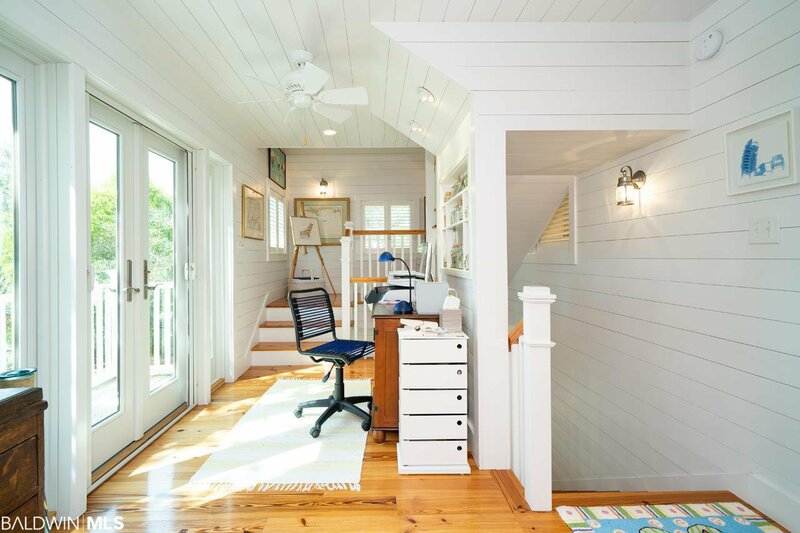 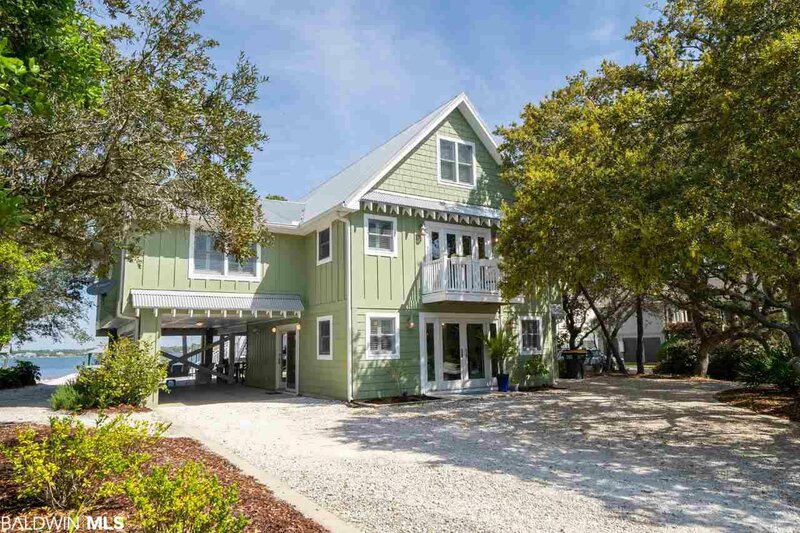 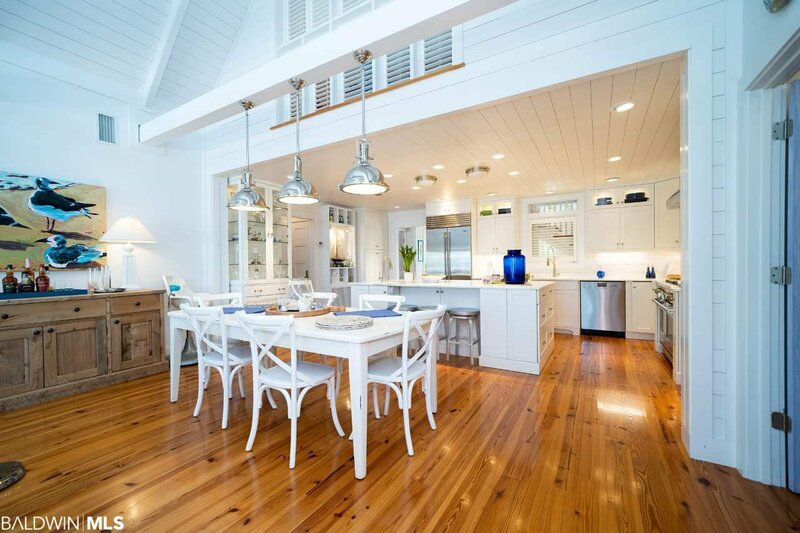 The house provides a warm coastal ambiance and features heart pine flooring, shiplap walls and ceilings, exposed beams, Bose speakers inside and out, Calacatta Manhattan Bella marble countertops, and custom soft close cabinets with under-cabinet lighting. 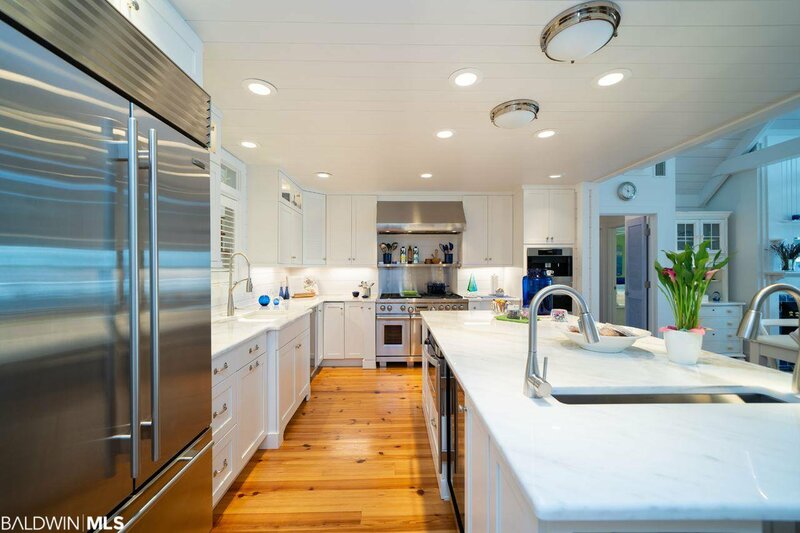 The chef inspired kitchen is equipped with a Wolf 48” dual fuel range, Wolf 48” Pro wall hood, Subzero refrigerator, Subzero beverage cooler, and Miele coffee system and steam oven. 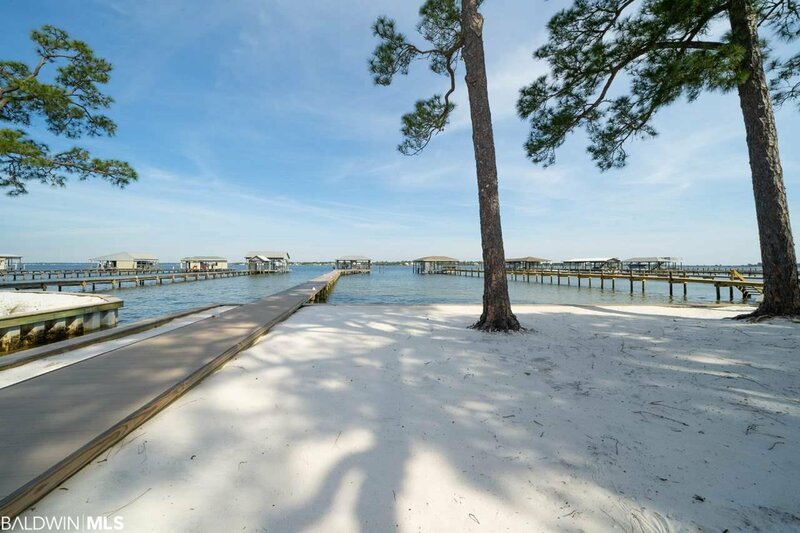 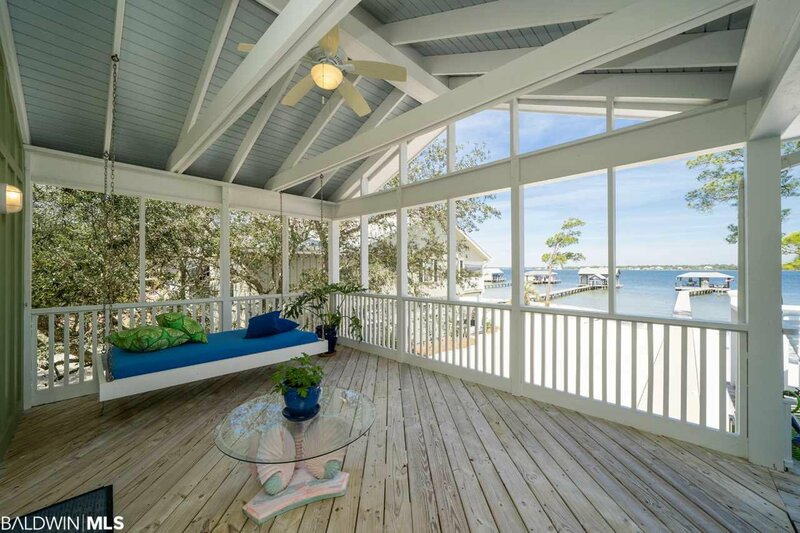 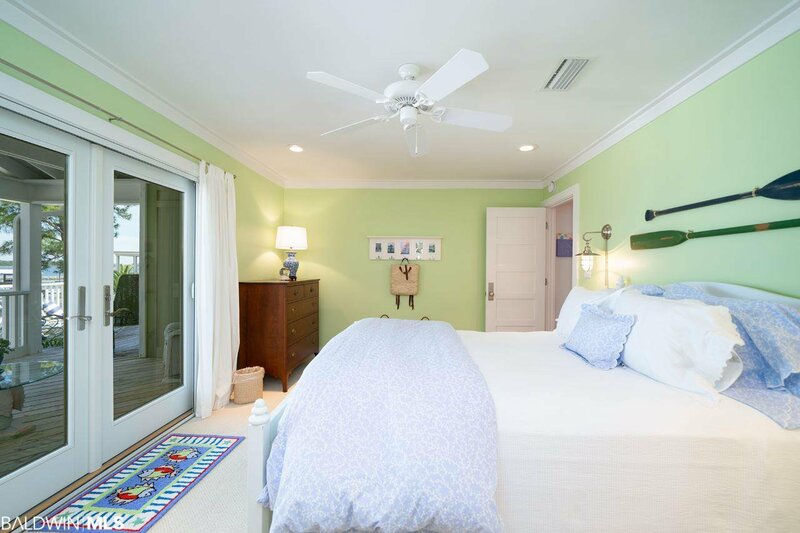 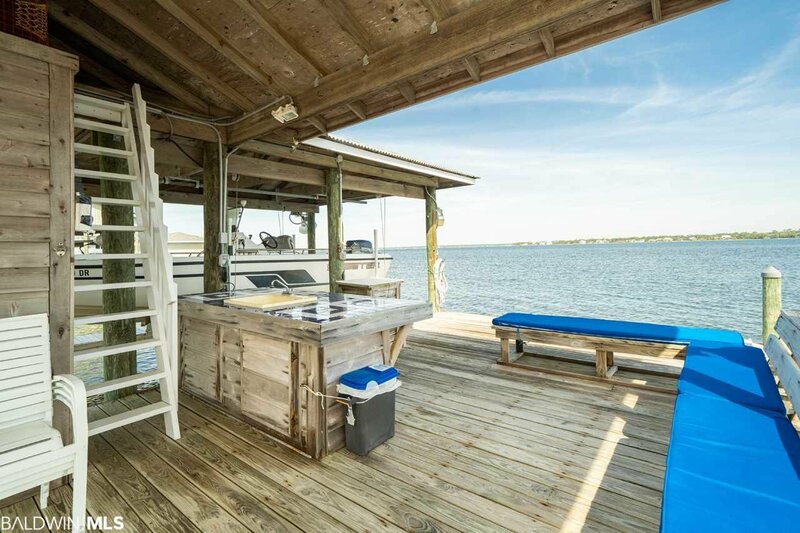 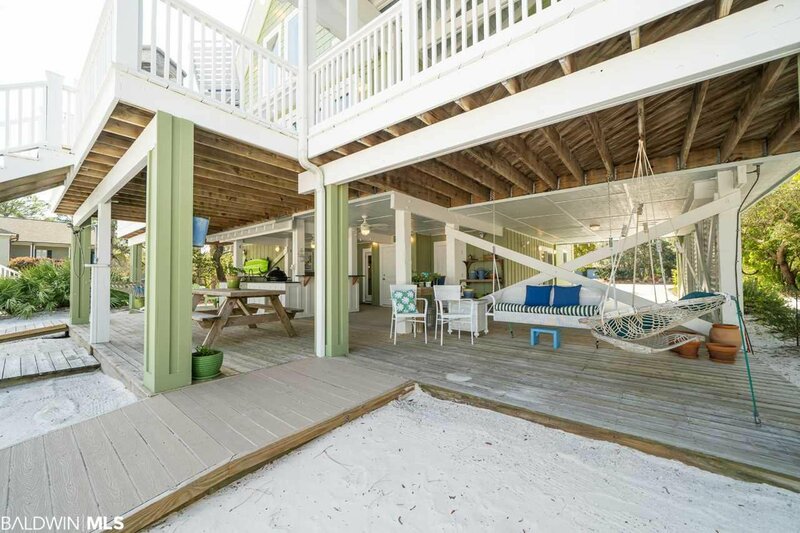 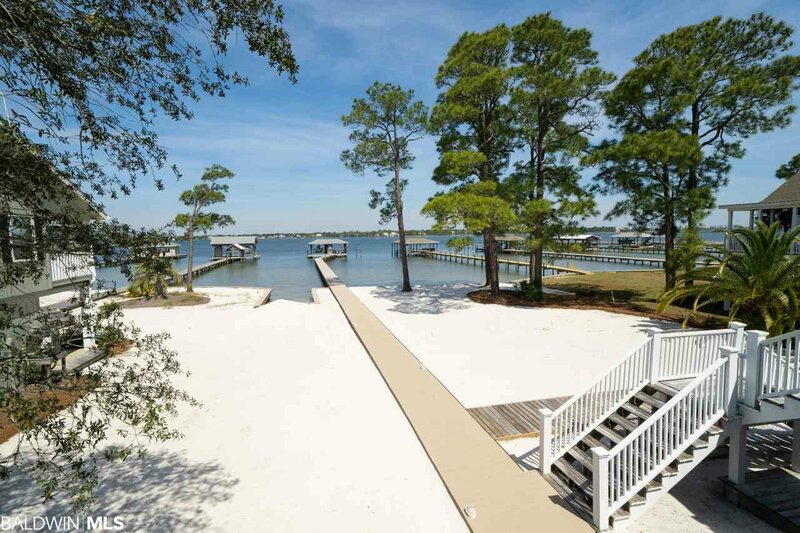 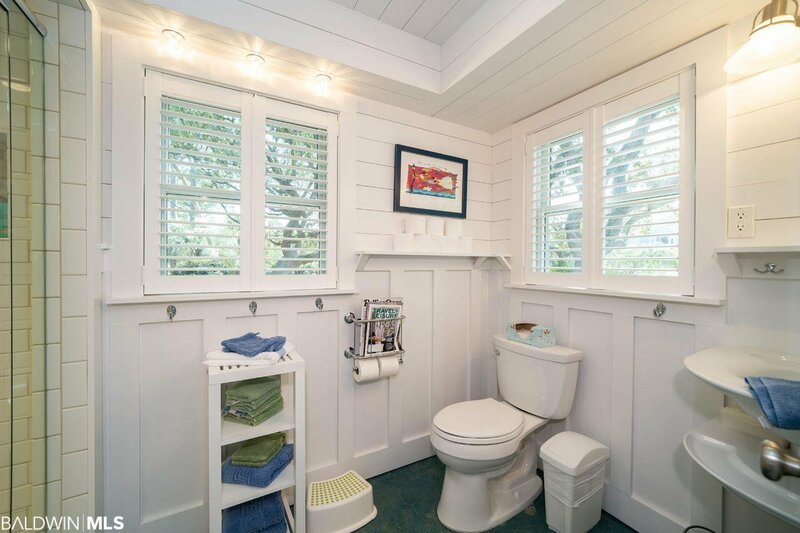 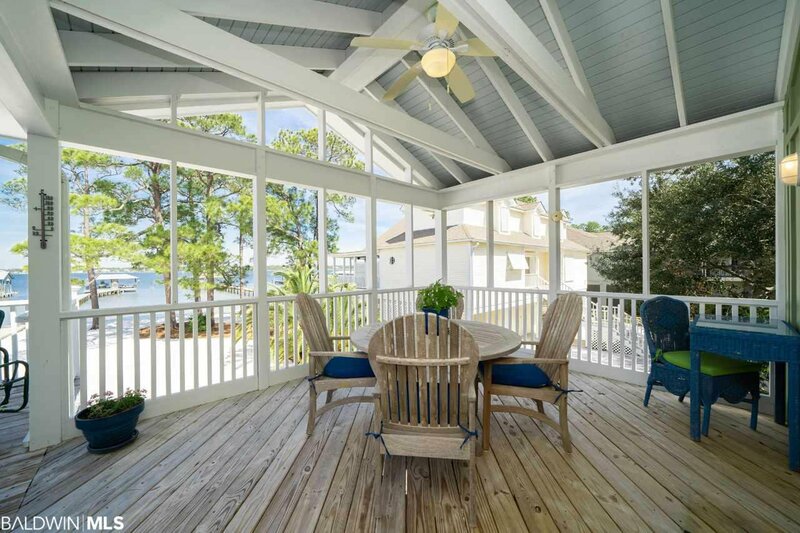 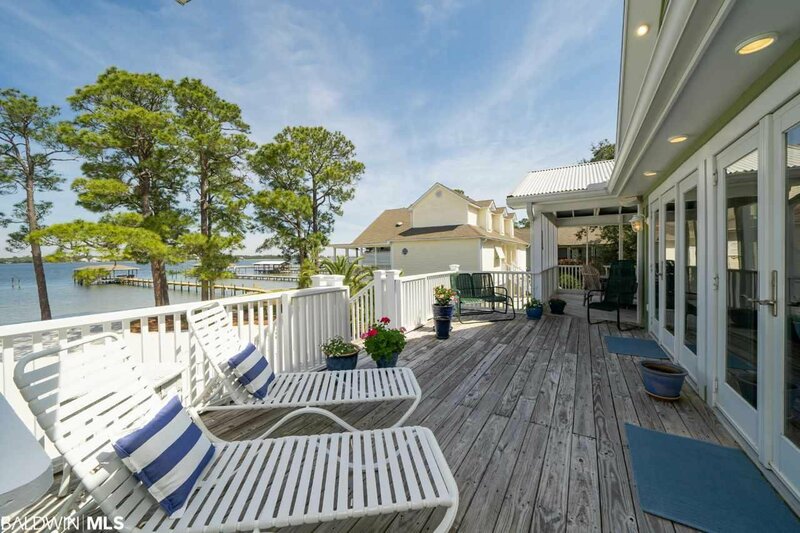 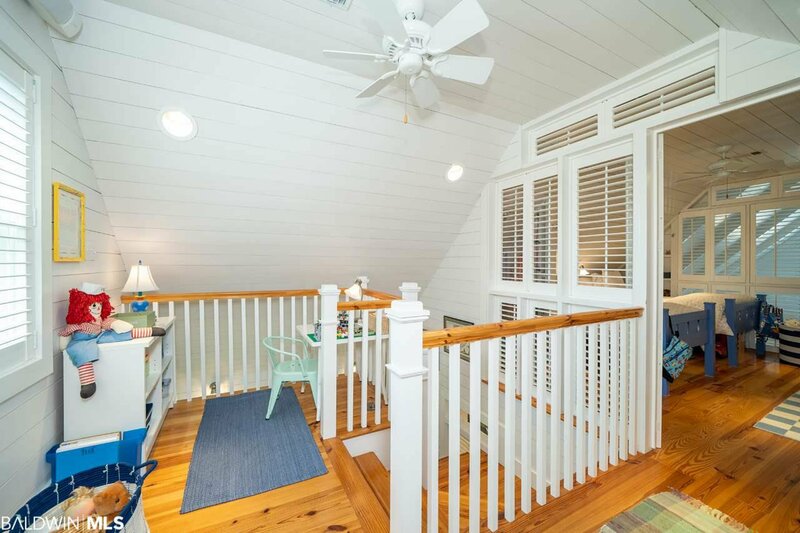 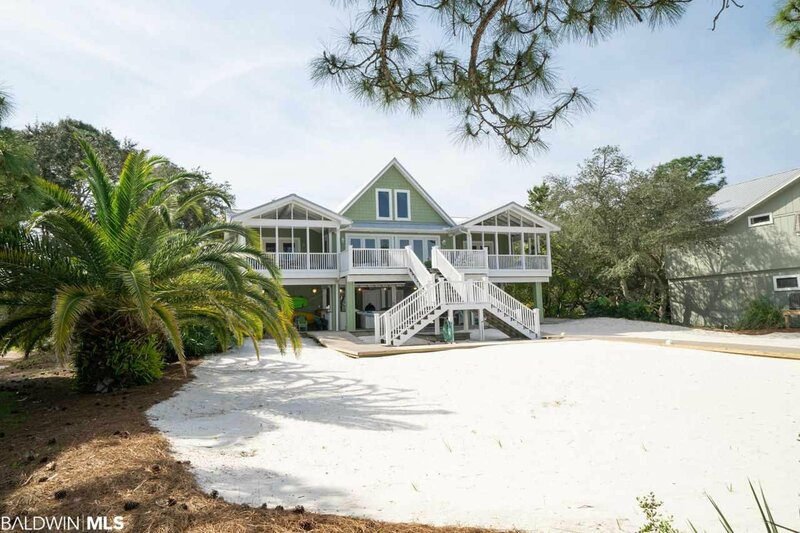 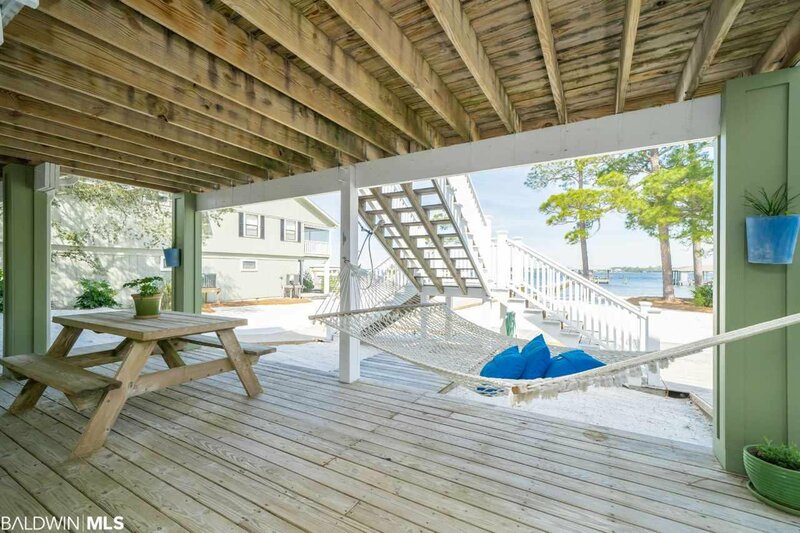 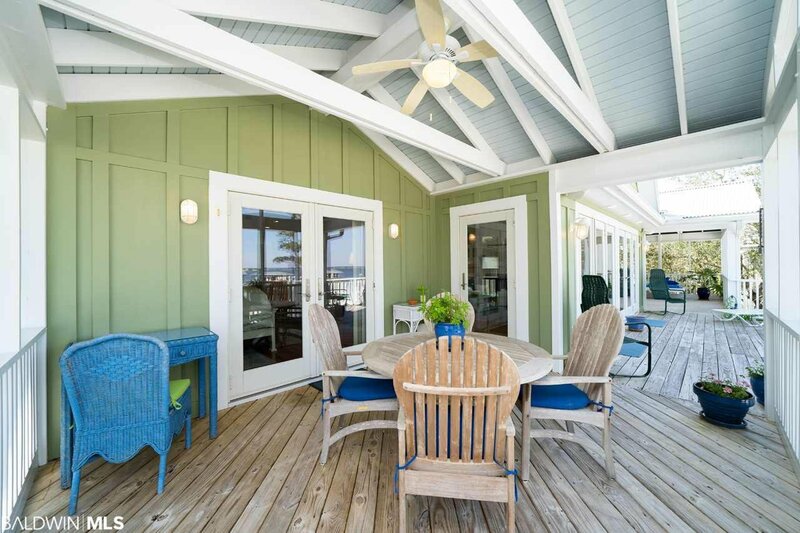 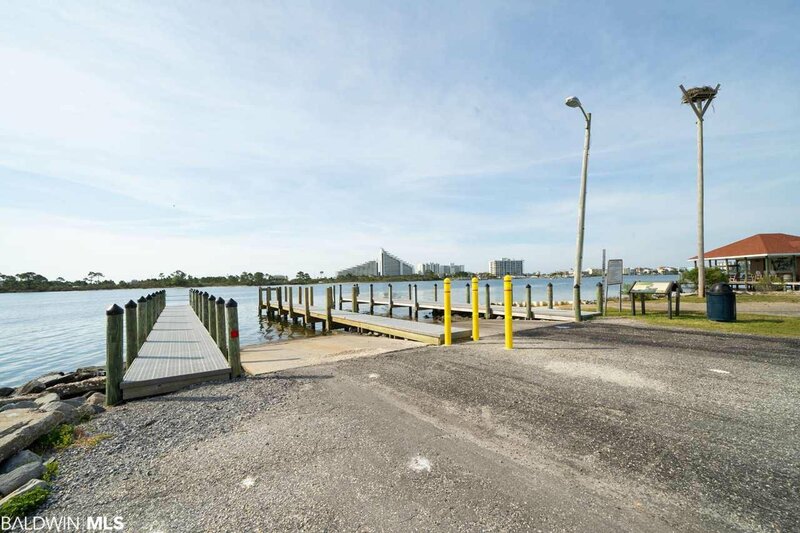 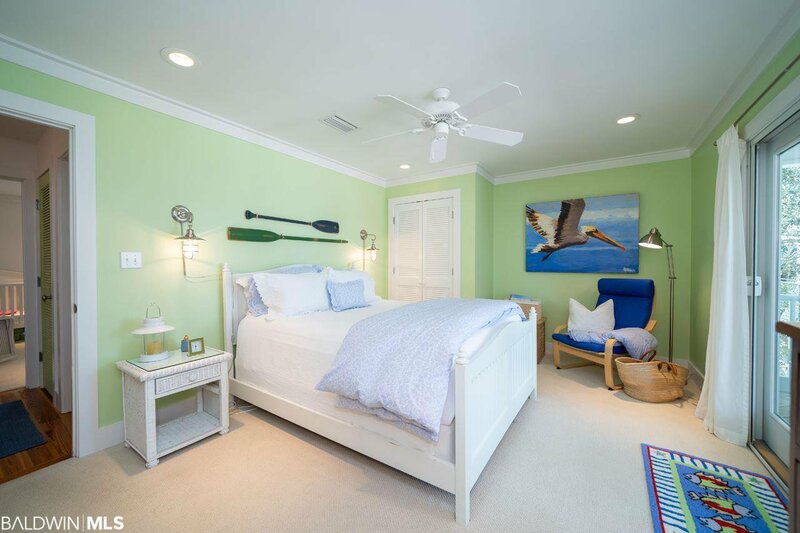 As you make your way off of the large covered bay side porch, you step into a backyard of beautiful white sand that leads to a new seawall designed with a custom inlet for easy access into and out of the bay. 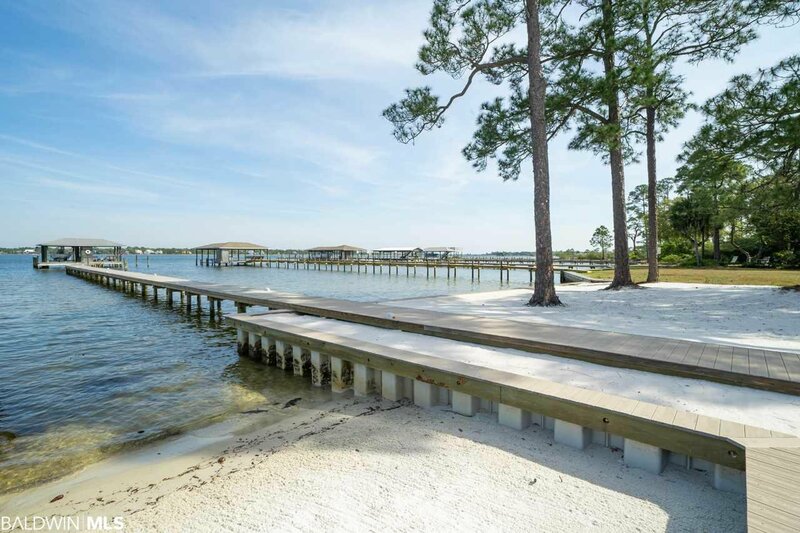 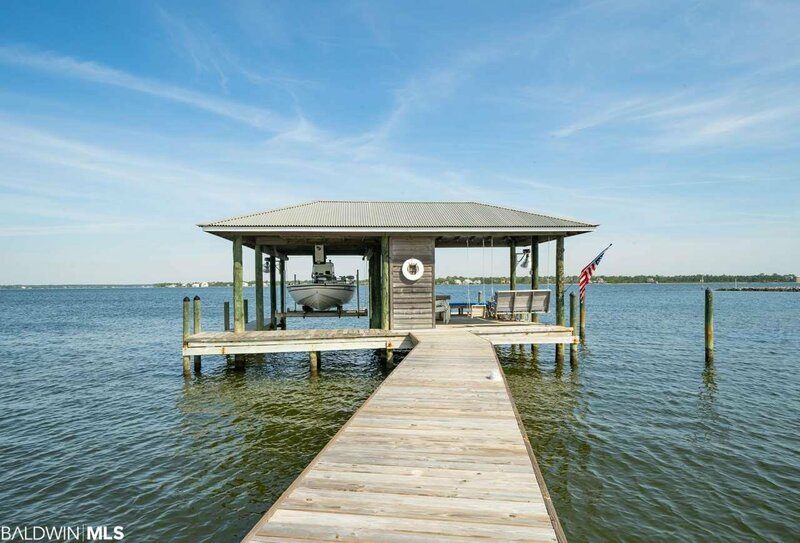 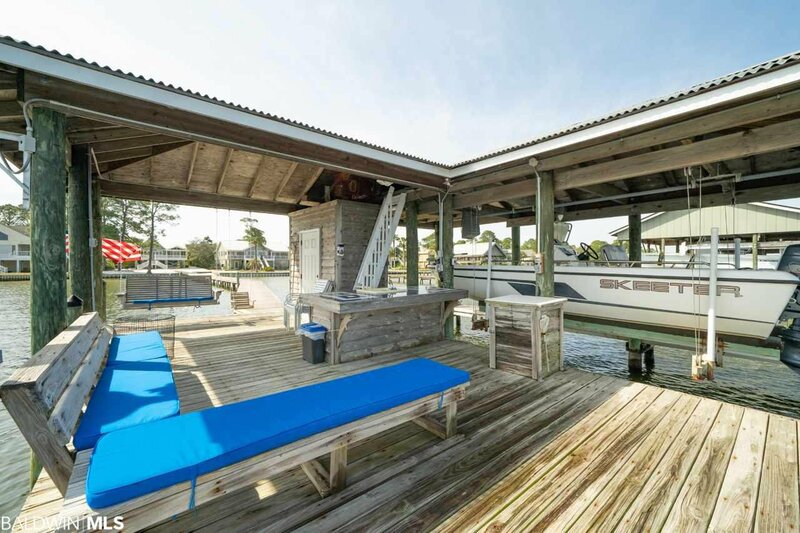 A Trex walkway takes you from the house to the water’s edge where a new pier carries you to the covered dock with a boat lift. 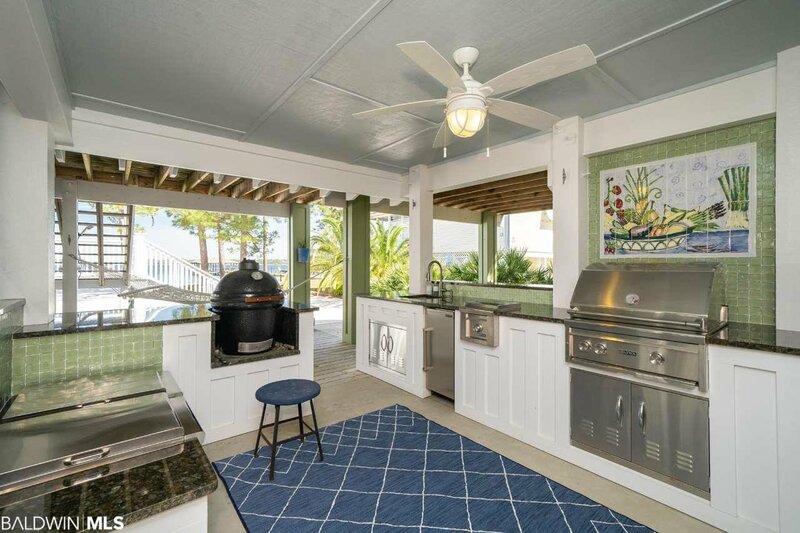 After returning from a day on the water, enjoy relaxing around your full outdoor kitchen featuring granite countertops, built in Lynx grill, Lynx burner, two Lynx power burners for large boils, Subzero ice maker, and a stainless steel sink. 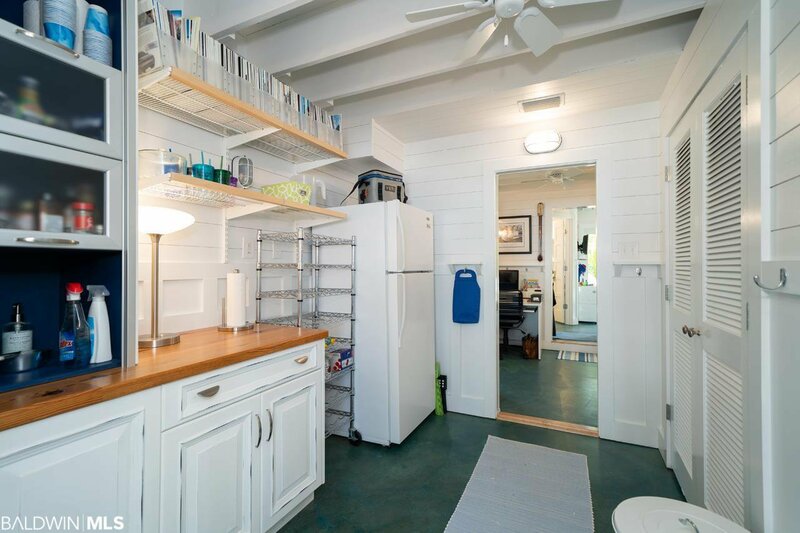 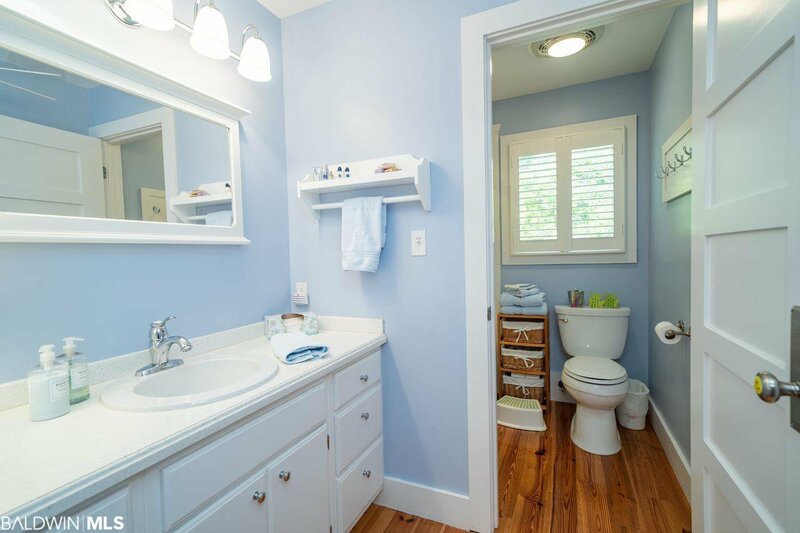 The home has a Hardie Board exterior, metal roof, Anderson impact windows and doors, updated wiring, updated plumbing, tankless water heater, and a gas fireplace for cool evenings in the winter. 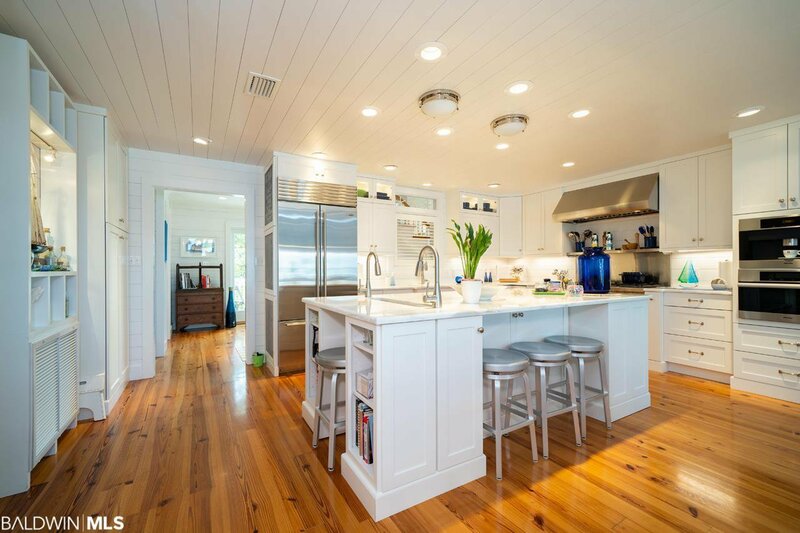 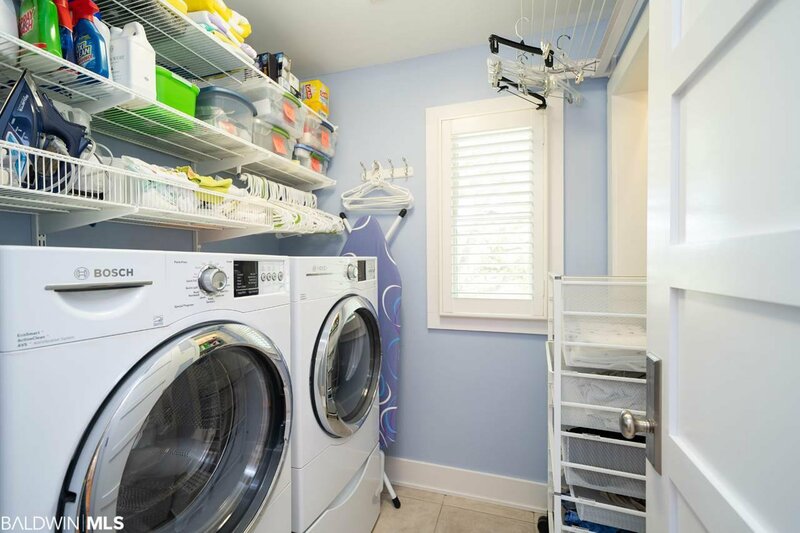 With an underground Blossman propane tank, your appliances will always have the fuel they need. 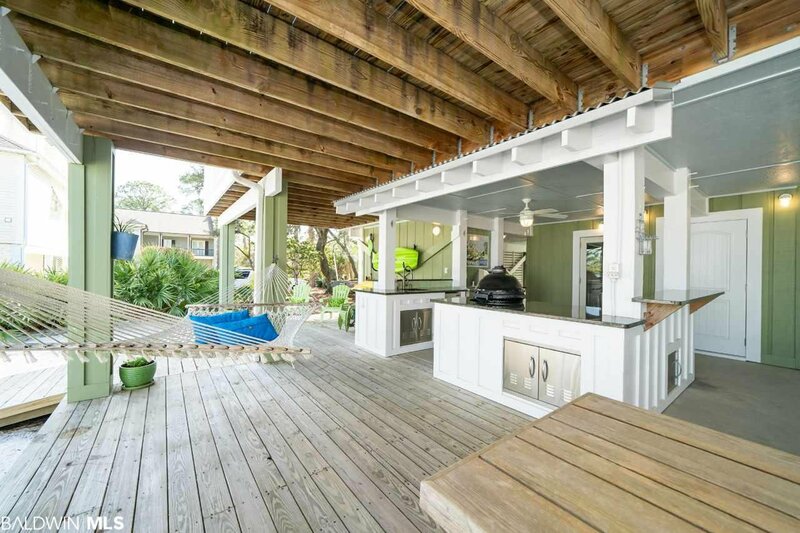 The house sits on a naturally occurring ridge that offers protection from flood waters. 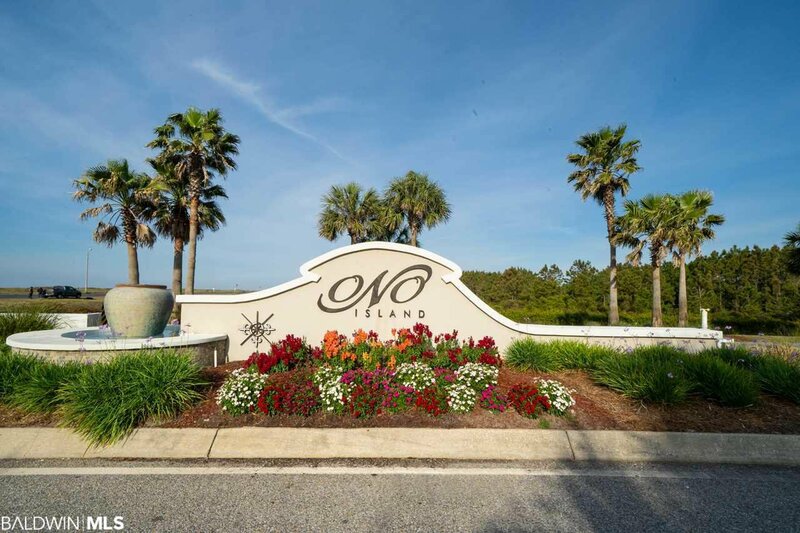 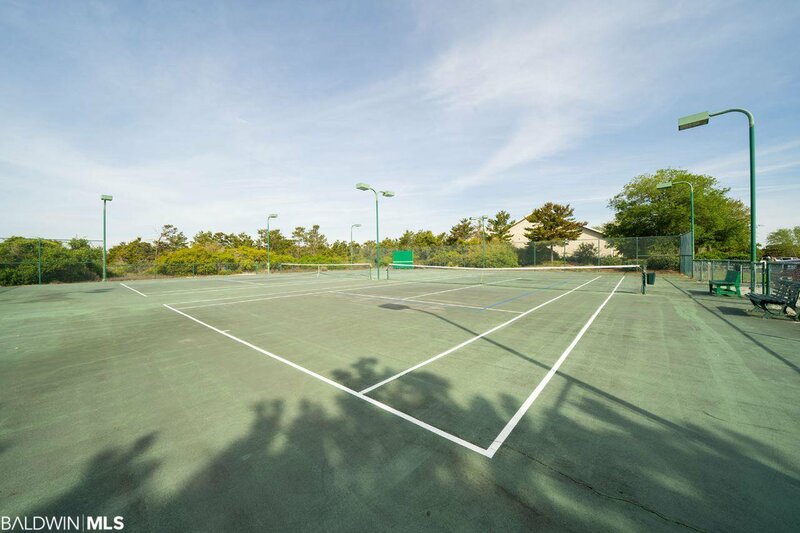 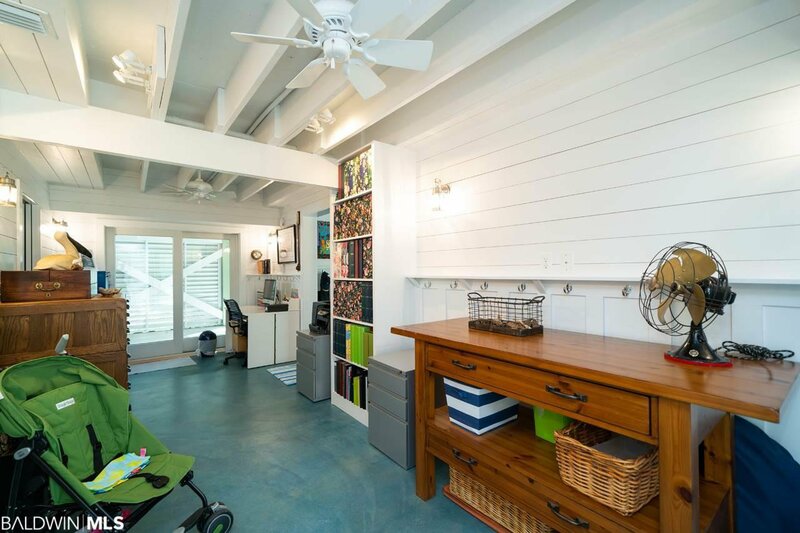 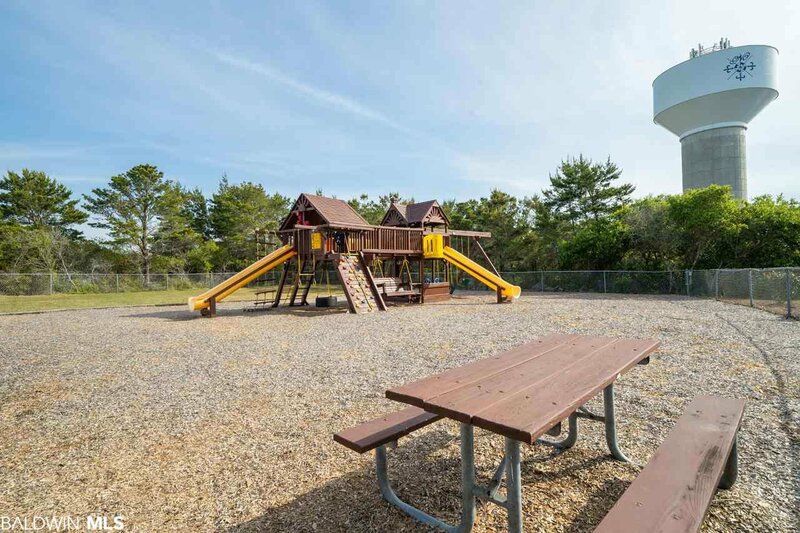 To top it off, the home is conveniently located just around the corner from the Ono Island community center and private boat launch.